Theresa May’s Brexit deal will not return to the Commons this week unless it has support from the DUP and Tory MPs, the chancellor says. The PM’s plan is expected to be voted on for a third time in the coming days. But Philip Hammond told the BBC’s Andrew Marr that it would only be put to MPs if “enough of our colleagues and the DUP are prepared to support it”. The party, which has 10 MPs in the Commons, negotiated £1bn in spending for Northern Ireland as part of a confidence and supply agreement with the Tories – giving the government a working majority. Mr Hammond said they did not have the numbers “yet” to secure Mrs May’s deal, adding: “It is a work in progress”. But he warned that, even with the DUP’s support, a “short extension” would be needed to pass legislation in Parliament, adding that it was now “physically impossible” for the UK to leave the EU on 29 March. Theresa May has asked MPs to make an “honourable compromise” on her deal. Writing in the Sunday Telegraph, she said failure to support it would mean “we will not leave the EU for many months, if ever”. He also told Sky’s Sophie Ridge that Labour MPs could be told to vote in favour of an amendment calling for another referendum next week, and he could propose another vote of no confidence in the government if the PM’s deal was voted down for a third time. Earlier last week MPs rejected Theresa May’s deal again – this time by 149 votes – and then backed plans to rule out leaving the EU without a deal. They also voted in favour of an extension to the process – either until 30 June if Mrs May’s deal is supported before 20 March, or a longer one that could include taking part in European elections if MPs reject her plan for a third time. But legally the UK is still due to leave the EU on 29 March. All 27 EU member states would have to agree to an extension, and the countries’ leaders are expected to discuss it at a summit on Thursday. Mr Hammond told Andrew Marr that it was now “physically impossible” for the UK to leave on 29 March. “If the prime minister’s deal is able to muster a majority this week and get through, then we will need a short extension,” he said. Asked if the deal would be voted on again this week, the chancellor said: “The answer to that is no – not definitely. “We will only bring the deal back if we are confident that enough of our colleagues and the DUP are prepared to support it so we can get it through Parliament. A group of 15 Tory MPs from Leave-backing constituencies, including former Brexit Secretary David Davis, have written a letter urging colleagues to back the deal to ensure Brexit goes ahead. And former Cabinet minister Esther McVey, who resigned over the Brexit agreement told Sky’s Sophy Ridge programme that she would “hold my nose” and vote for the deal after rejecting it twice herself, as it was now a choice between “this deal or no Brexit”. 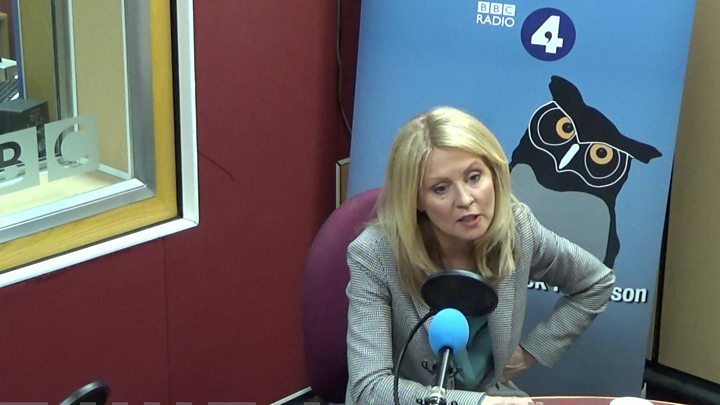 Asked on BBC Radio 5 Live’s Pienaar’s Politics whether it would be a good idea for Mrs May to confirm she would leave Number 10 by the summer, Ms McVey said only the PM knew what was best for her but she needed “a dignified departure”. Charlie Elphicke, Conservative MP for Dover, told the BBC there needed to be “a change of leadership” for him to support the deal, while Nigel Evans, Tory MP for Ribble Valley, said Mrs May should quit if there was a long delay to Brexit and the UK ended up contesting European elections. Earlier this week, Esther McVey said: “People will have to vote for deal if they want Brexit”.